Successfully pursuing what is most important to you has many possible solutions. Smart thinking is the key. Ongoing dilemmas are often maintained by falling into the trap of one solution thinking. Solution thinking involves learning how to think and process differently. It is a critical life skill. Jenna and Rod (real names are protected) were making each other miserable. Fights were escalating. Their relationship was unravelling. Each fight added more hurt and distance. By the time they came to counselling enormous frustration had built on both sides. Jenna was feeling hurt and resentful. Rod had developed the habit of refusing to talk about it ‘or we’d just end up fighting again.’ They had not been sexually intimate for a long time and this was further eroding their sense of connection. Jenna desperately yearned to travel. Rod had no interest at all in travelling. He was happily focused on his career while Jenna felt like she was missing out. She was becoming depressed because travel was a priority value for her. Jenna’s ‘one solution thinking’ was that they had to travel together. All sorts of low self esteem beliefs were feeding into this position. For example, Jenna was worried about judgements from others. She felt guilty about spending the money without Rod. Her faulty premise was ‘if I can’t convince Roy to travel I will miss out.’ Jenna said she was so angry and hurt because ‘Rod knows how important this is to me’. She concluded that therefore ‘if Rod loved me enough he would care about what is so important to me.’ It was the faulty conclusion ‘Rod doesn’t love me enough’ that opened the doors to all kinds of other ‘stories’ and arguments. Rod was adamant that his aversion to travel had nothing to do with love. He wanted Jenna to be happy and fulfilled. He had even suggested long before (during a fight) that Jenna travel with someone else. She interpreted this as rejection. Rod meant it as a practical solution to keep them both happy. Jenna had rigidly stuck to her perspective that ‘a couple should travel together’. Her interpretations shifted the focus from travel to love and rejection. Jenna’s insistent expectation that ‘he would do this if he really loved me’ prevented her from resolving the travel dilemma. Clarifying the facts allowed new solutions. When this couple had travelled together on their honeymoon, they had been extremely mismatched as travelling companions. Jenna reluctantly admitted it hadn’t been great and ‘everything was a struggle.’ Rod admitted to feeling a lot of anxiety about travel. This ranged from fear of flying, to bomb threats, to sleeping in beds that other people had slept in. Jenna did not understand the nature of anxiety and expected Rod to ‘just get over it.’ They had not understood that anxiety needs to be addressed in specific ways. Despite the anxiety, Rod was still clear that travel was not something he wanted or enjoyed. The different perspectives and faulty interpretations and conclusions were identified and understood. The focus was put back on travel as a completely seperate issue to proof of love. Jenna was freed up to consider workable solutions. Her self esteem needed some strengthening initially. She joined a travel group and found a perfect travel companion. She came to recognise Rod’s demonstrations of love in how he encouraged and supported her to pursue her passion. The communication skills they took on board will benefit their relationship in powerful ways into the future. 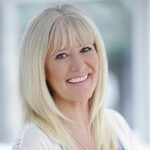 Margi Matters has over 30 years experience helping thousands of people to feel renewed, empowered and inspired. She is a Registered Psychologist, Therapist, Coach and Counsellor working in Brisbane’s Northern Suburbs. Margi Matters is a Psychologist and member of the Australian Psychological Society. Services provided by Margi Matters Psychologist are Counselling, Therapy and Coaching. Located in Paddington and Northern Brisbane, Margi provides services to North Brisbane and the Redcliffe Peninsula from her suites in Carseldine Queensland.